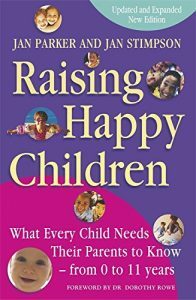 Primarily for the parents of kids 0 to 11, this book calls upon research from professionals to settle some issues and is still a funny, warm book to read about parenting. 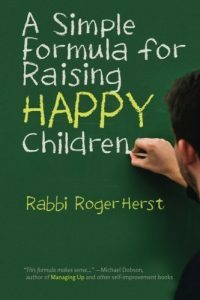 A conversational book that brings up principles that Rabbi Herst counsels parents about–Allowing Children to Choose; Freedom to Make Mistakes; etc. 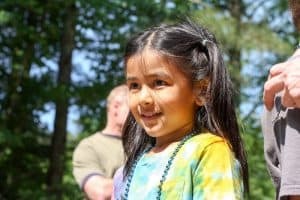 Always we worry that our kids aren’t fully happy, like we were as children, without remembering that life isn’t really bowl of cherries for anyone. The goal is to teach our kids how to “roll with the punches” and how to survive and thrive even in the ups and downs of daily life. A fun book to know about, especially if you listen to it on tape. All the teachers read this book last year. 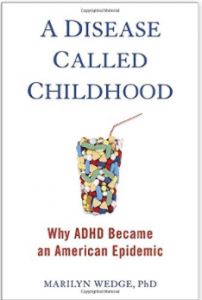 Since ADD and ADHD seems to be the constant topic of discussion when you read education news, everyone read it with great interest . Although some of us disagreed with parts of what the author said, all of us wondered about the medicating of very young children and what the final effects may turn out to be. Time Magazine has a nice summary of the book if you are interested as well. Please check back here later for more on this page. As our site is VERY new, we will fill this page with valuable parenting resources in the fullness of time. Lunch idea from Great Schools!